The Valletta 2018 Foundation, in collaboration with the Embassy of Croatia to Malta, presents a ‘Klapa’ music concert by Croatian group ‘Klapa Saint Mihovil’. Two performances will be held in Valletta on the 18th of June; at St George’s Square at 6pm and at The Gut at 8pm. ‘Klapa’ music, which was inscribed as UNESCO Intangible Cultural Heritage of Humanity in 2012, is a form of traditional a cappella singing in Croatia, which is born in open public spaces such as streets and squares. The word ‘Klapa’ translates as “a group of friends” and traces its roots to littoral church singing, celebrating notions of love, wine, homeland and sea. The concert entitled, ‘Faith, love and homeland’, will last around forty-five minutes, and consists of fifteen thematic Croatian songs in the ‘Klapa’ tradition, sung by the group Klapa Saint Mihovil. 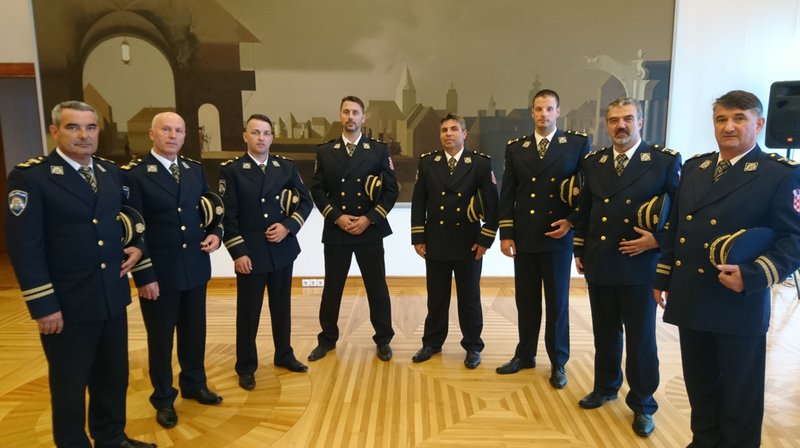 This is the Official Klapa group of the Ministry of Interior of the Republic of Croatia and all of the singers are members of the National Police Force. Fostering the tradition of “Klapa” singing and promoting it around the world, they have been successfully performing together since 2009. The group is made of Tonči Marinovič (I. tenor), Milan Katić, Petar Domazet, Tomislav Bašić (II. tenor) , Jerko Livačić, Ante Šućur, Tomislav Čizmić (baritone), Ante Šipić, Zvonimir Kovačić and Ivan Bašić (bass). In the second concert, the Klapa will enrich the programme with some of the most popular Croatian songs in the Klapa tradition. The concert is part of the Valletta 2018 Cultural Programme. This event is organised by the Embassy of Croatia to Malta and the Valletta 2018 Foundation, and supported by Valletta Boutique Living.